You are Worth it, Your Home Is Worth It!! In his spare time. Chris enjoys motorcycling with his Dad as well as fishing, camping and hiking. 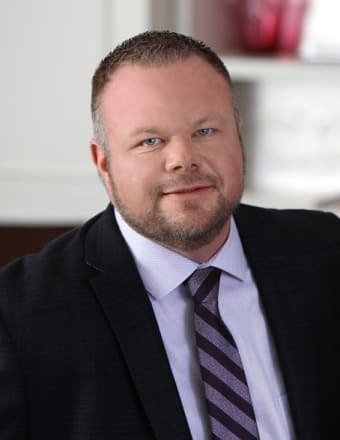 Chris firmly believes he will save his clients time and money by managing the complete real estate process for them, thus allowing his clients more free time to enjoy what's important to them! With his extensive customer service experience, Chris' decision to become a Sales Representative in this dynamic industry was a natural progression inspired by his mother Mary Anne, a successful REALTOR for over 25 years. Chris has spent more than a decade in retail sales and customer service, including managing a fast-paced electronics and photography department. He has used his strong interpersonal skills, to effectively organize his staff and helped clients make appropriate purchase decisions on high ticket electronic items. His hardworking attitude and genuine commitment to the best interests of his customers are qualities Chris applies wholeheartedly to his profession. With his long standing exposure to Real Estate, complemented by his interest in home renovations, Chris can often be found helping family and friends with renovation projects. Chris also appreciates the aesthetics of the finished product and has used his education in photography from Conestoga College to shoot pictures of various homes. Having lived in a small town, and being an outdoors enthusiast, Chris has gained exceptional knowledge of Wilmot Township, Perth East, and the area surrounding Woodstock, in addition to Waterloo Region and its surrounding areas. Knowing that good communication is the cornerstone of any successful relationship, Chris ensures his clients that they can count on him to provide them with Great Value and the information needed on schedule and in a manner that suits his client's best. Through hard work Chris, was recognized over his peers and awarded the Coldwell Banker Peter Benninger Realty Rookie of the Year Award in 2012 for his overall achievement in Total Sales Volume. Chris is proud to be the recipient of the annual Coldwell Banker Ultimate Service Award, as well as regular recipient of the monthly Coldwell Banker Peter Benninger Realty Ultimate Service Award, as it is an award that is given to agents in recognition of providing outstanding customer service to their clients and is based solely on their clients' feedback.